This photo was taken in 1974 and supplied to me by Noll Cheadle. Noll is on the left with Jackie in the middle and Ali on the right. Noll cannot remember thae name of the person in the crows nest. 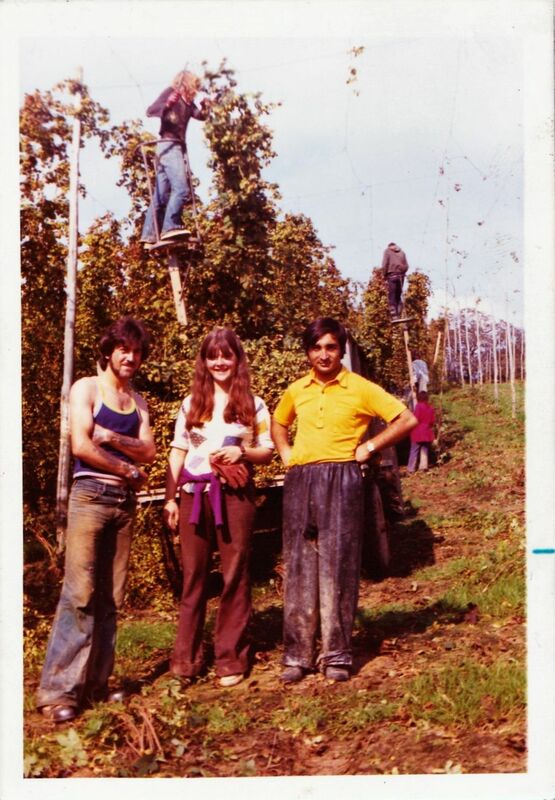 Noll and Jackie (now his wife), along with two friends came from Newcastle under Lyme in Staffordshire to work hop picking. They stayed at rented accomodation and travelled to Bodiam each day, working with Bill Russell. The photo was taken by a young man from Sweden. Noll had forgotten it was taken and was quite surprised when it arrived.